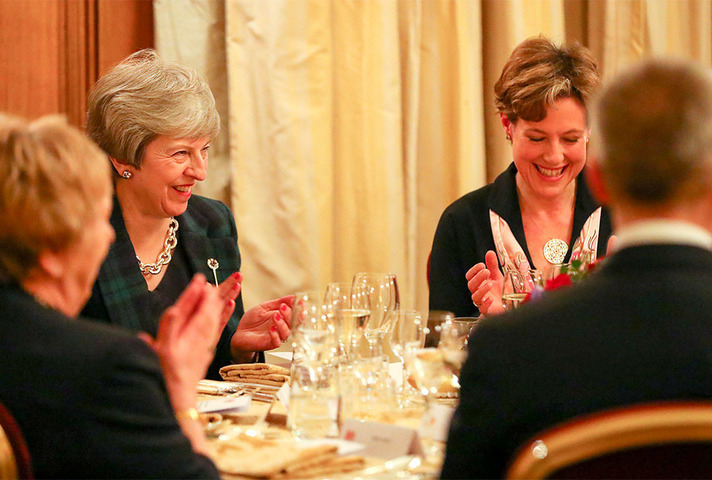 Ahead of Burns Night on Friday (25 January), the Prime Minister and Mr May hosted the celebration in the State Dining Rooms of Number 10 in honour of the famous Scottish poet. Guests included Chief Executive of the Scottish Fishermen’s Federation Bertie Armstrong and Tunnock’s Boyd Tunnock while Dame Katherine Grainger gave the Address to a Haggis. Secretary of State for Scotland David Mundell, Environment Secretary Michael Gove and the Chancellor of the Duchy of Lancaster David Lidington also joined in the celebrations. As they walked down Downing Street, guests were welcomed by a piper from the Royal Scots Dragoon Guards and enjoyed Scotch whisky while the Ayrshire Fiddle Orchestra played. During the iconic haggis supper, Katy Thomson performed traditional songs such as ‘Auld Lang Syne’, ‘My Heart’s in the Highlands’ and ‘Ae Fond Kiss’.